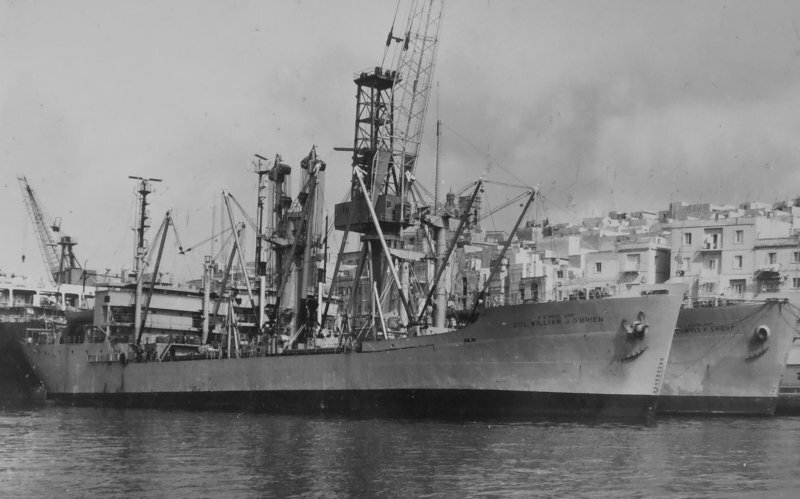 Laid down, 17 January 1945, as MV Maiden's Eye, a Maritime Commission type (C1-M-AV1) hull, under Maritime Commission contract (MC 2323) at Consolidated Steel Corp., Long Beach, CA. 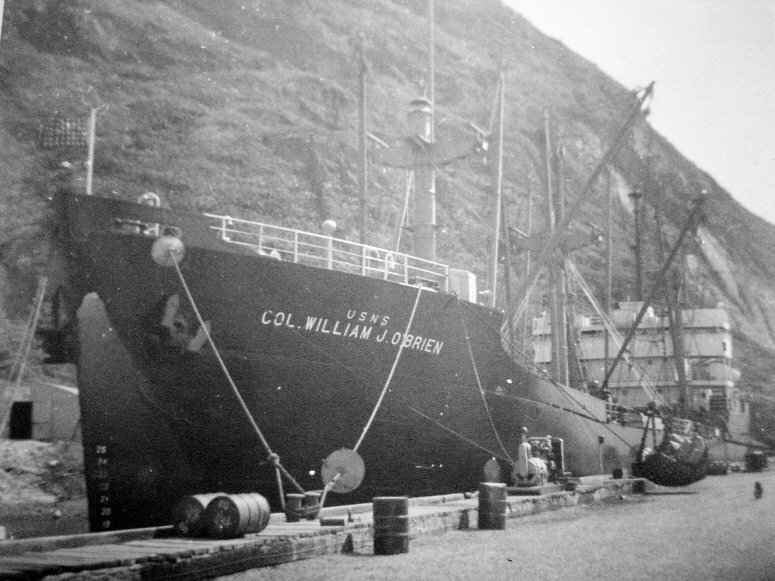 96k USNS Col. William J. O'Brien (T-AK-246) moored pierside in either Greenland or Iceland, date unknown. 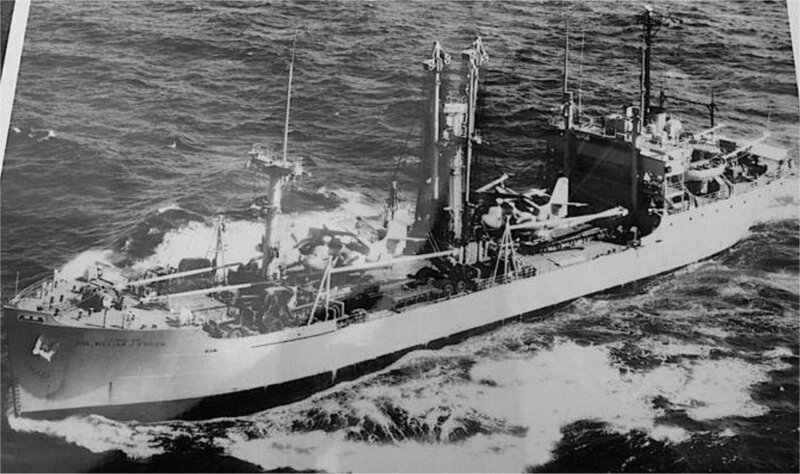 218k USNS Col. William J. O'Brien (T-AK-246) underway, date and location unknown. 54k USNS Col. William J. O'Brien (T-AK-246) moored outboard of USNS Curtis F. Shoup (T-AG-175) at Malta, date unknown. 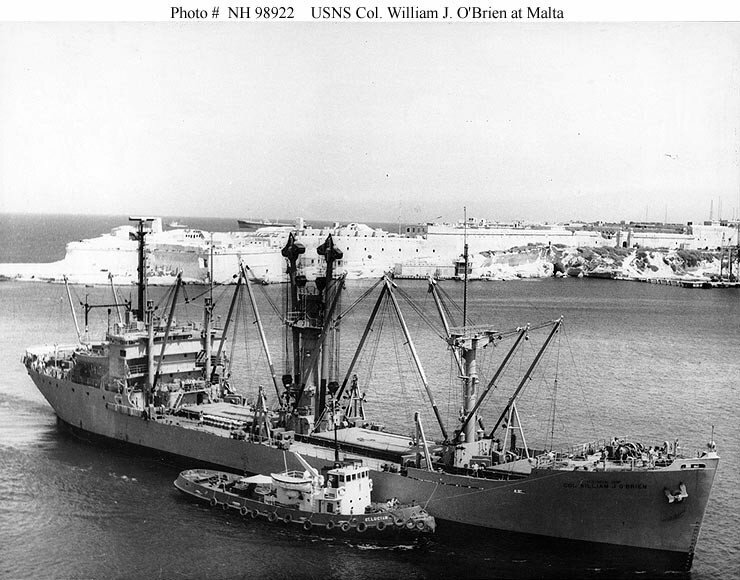 106k USNS Col. William J. O'Brien (T-AK-246) at Malta being assisted by the tug St. Lucian. circa 1960s.